Haiti Fundraiser With Graf Antics Tonight! If you’re not heading to the Bristol Gallery show tonight, or even if you are and you somehow happen to get round the quality work in a shortish time, then there’s something you should head over to at Metropolis. It’s a fundraiser for a couple of charities in Haiti doing good work, and as ever the graf community has stepped up to help. 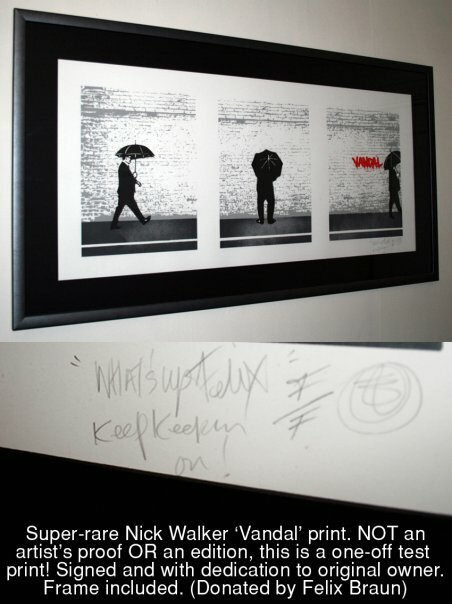 Amongst other things being auctioned, there’s work by 3rd Eye, Sepr and a special ‘friends only’ edition of an early Nick Walker Vandal print, donated by someone with a pedigree all of their own. There’s a small reserve on it natch, but if you’re into your Bristol graf, you could do much worse than be down there for a cheeky bid, you never know what will happen at auctions. It’s compered by the inimitable Art Tart, and there’s all sorts of other antics going on too, burlesque, belly dancing and a dood playing a saw. Dubrovnik DJ set too, top stuff. Metropolis is an ace venue since they sorted the sound out, so why not warm up for the weekend and give some money to people who need it more than we can imagine right now? £6 on the door, 7pm to 2am, you know it makes sense. More chat on Facebook if you need it. Top night down at Paintworks last night for the Get Dring Mobile auction, some great live painting outside, great music and a whole lot of bidding for a great guy. Well, bidding for art to raise money for a great guy, Mike himself of course not being for sale. It was interesting to see how the bidding went. Some pieces were an absolute steal, other went for far more than you would ever have thought. As a wise man put it last night, ‘a picture’s only worth what someone is willing to pay for it’. Stencil work still seems to be very much in fashion with the buyerati, wonder how much longer that will last. In total, the auction raised something like £24,500, before you count in the bar receipts, pieces that sold outside of the auction and all sorts. So well on the way to getting Mike’s car sorted then, awesome stuff. There’s more to come still too, lots of pieces left to be sold on Ebay very soon, including a lovely Will Barras that lots of people were coveting last night, so keep an eye out. Here’s some photos from it all then, the live painting as it went along, and the works inside the auction as well. This has needed sharing for a while, so thanks to Full Cycle for the permission to blog it. 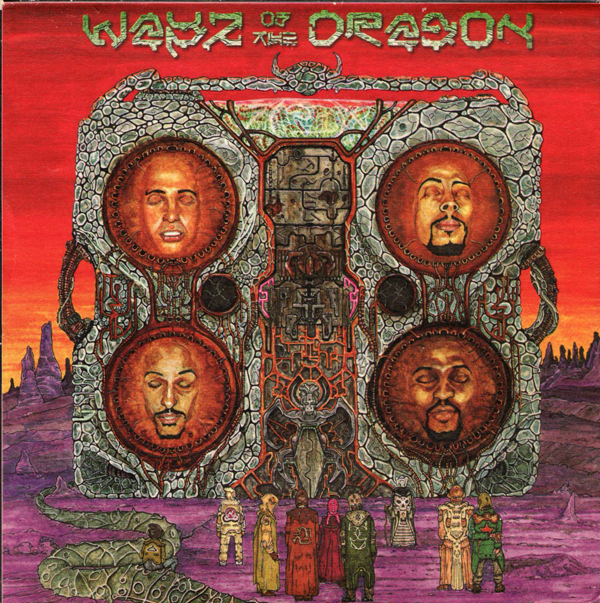 Back in 1998, after all the fun of the Mercury Music Prize and world tours, the good chaps from Reprazent did something a bit different, putting out an album under different names, collectively under the Dope Dragon label. 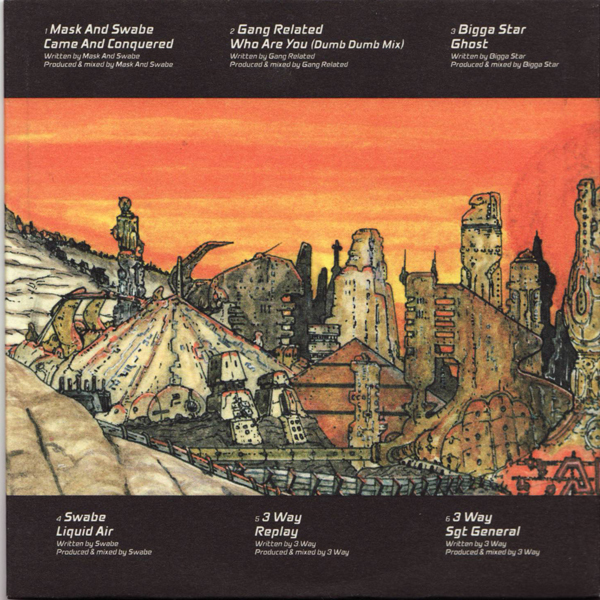 It was launched round the start of June at Powerhouse (as was) down at the bottom of Stokes Croft, with the artwork from the album being projected onto the walls during the night, and a pretty large night it was too. The artwork’s relevant to the blog though, because it was all done by Nick Walker, not just the cover, but also the CD insert and a special comic to go with it, with the DJs in it represented as cartoon characters. 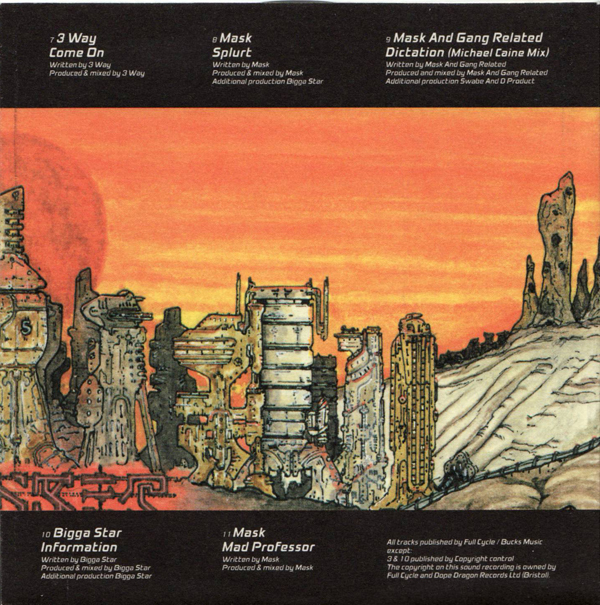 There was a 12″ version of it which must have looked great, but this work’s from the CD version. So, possibly for the first time on the web, here’s what it was all about artwork wise. The CD came in an insert, with track listings and so on. The inner comic folded out, and started with this as background for it all. Here’s the comic stiched together, it’s big (3mb or so each one), so don’t download if you’re on your phone or whatever. As ever, click for bigger. 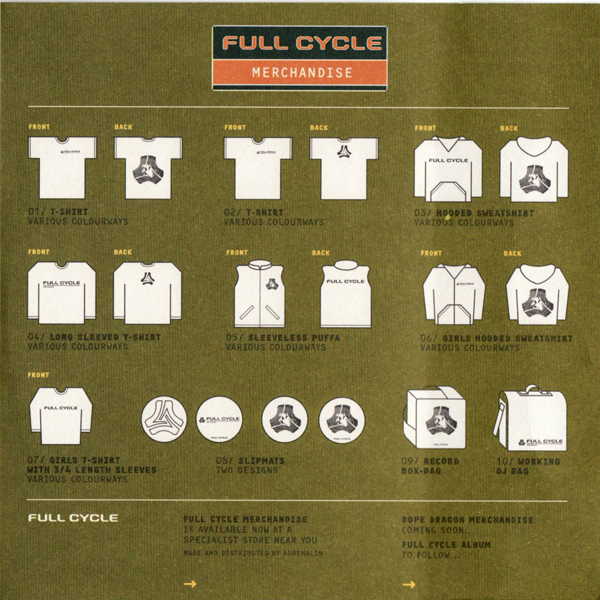 Finally, it you fancy checking out what Full Cycle was offering in the way of merchandise back in 1998 too, there was this at the end of the comic. 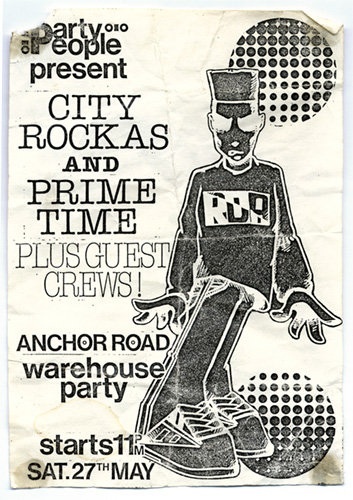 So, a big load of tidy work from Nick Walker a fair old time ago. 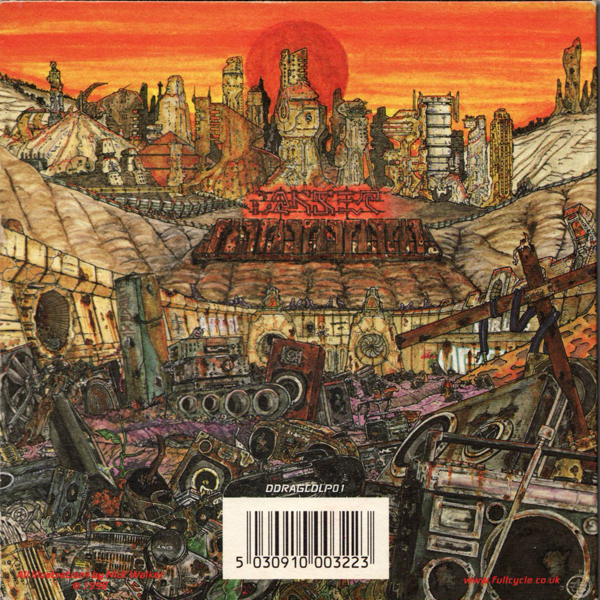 You can still find copies of the album for sale online, but it can cost a fair bit now. So if you want to have a listen, someone’s put all of it up on Youtube here. It’s all pretty bassy and experimental, but this blog would start with this one for something to wobble your legs to. The weekend again hey? 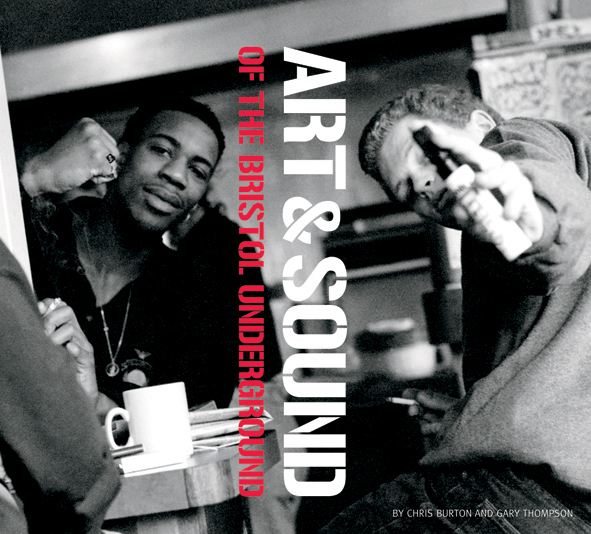 There’s loads going on (Carny Ville and Gentleman’s Dub Club would be our tips for this one), but here’s a book that frankly makes Bristol today sound like some lame uncreative backwater. 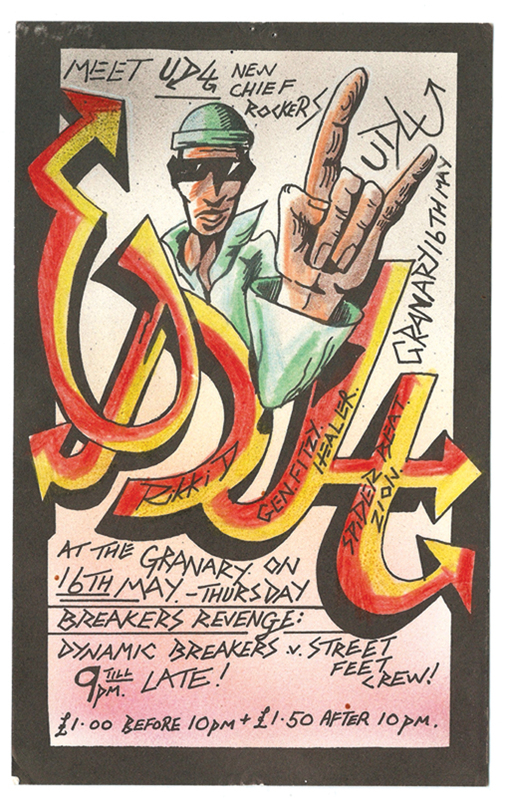 Called ‘Art and Sound of the Bristol Underground’, it all started a couple of years ago when one of the authors found a box full of flyers for old squat/warehouse/free parties in Bristol from the mid eighties to the early nineties. Rather than chuck them away, the finder, Chris Burton, got together with Gary Thompson and put together a book covering the scene, what went on, and, most important, the flyers and artwork that went alongside it all. 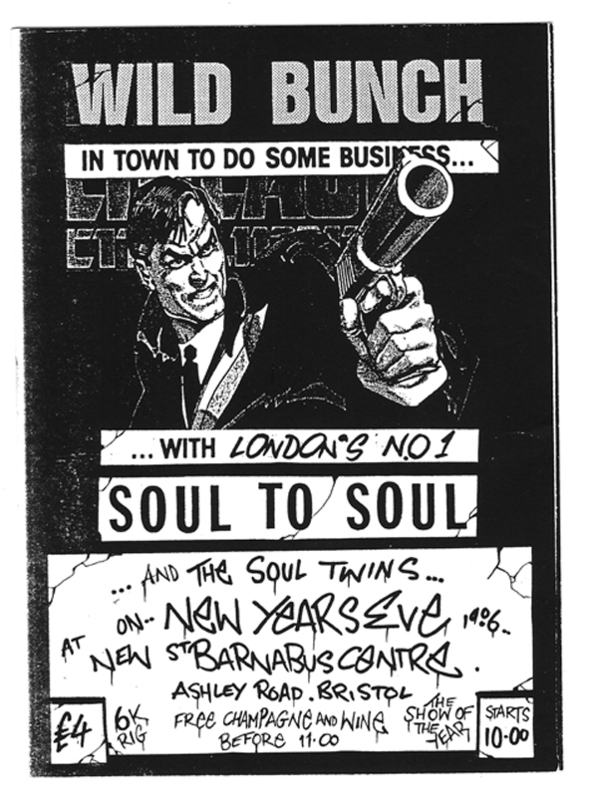 Not just any old flyers, these ones were for early parties by the Wild Bunch, the Fresh 4 and many others, the scene that spawned the Bristol sound now known around the world. 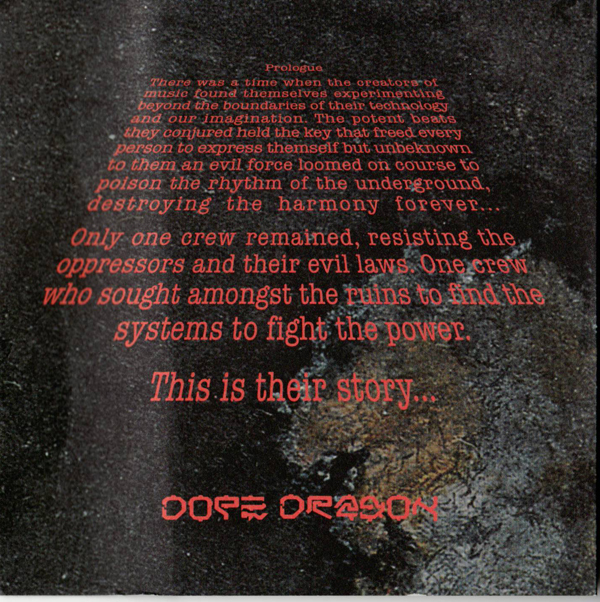 Aside from the content, they were designed by people like Inkie, FLX, 3D and Nick Walker, so they’re pretty darn interesting from a graf history point of view too. There’s loads more in there, and will give the book a proper review once we’ve got hold of a copy. In the meantime, here’s an interesting interview about it in the Evening Post, and a couple of Youtubes for those who want to get a slight taste of what it was all about, courtesy of the Wild Bunch and the Fresh 4. If you want to get a copy, then here’s the link you need. Michael Dring was 23 years old when he broke his neck in a road traffic accident, resulting in paralysis from the upper chest down – medically he is classified as having a complete Spinal Cord Injury (SCI) resulting in Tetraplegia (level C6). Between April 2009 and April 2010, friends and family of Michael are attempting to raise money to put towards the purchase of an adapted car which will enable him to drive independently. Any additional funds raised over and above the amount needed will be either donated to Salisbury Spinal Unit or go towards a lasting legacy of this project. Michael has been so inspired by this initiative that currently he is exploring the possibility of setting up an official charity in order to help other people regain any loss of independence due to SCI. If Michael succeeds in setting up this charity any additional funds will go towards this charity which will assist others to afford hand controls or vehicle adaptations. So, lots of stuff going on as a fundraiser, but one element of it, natch, is raising funds through grafurbanstreet art. A call was put out for people to donate pieces to a fundraising auction which has had a huge response, so they’re now going to be holding the thing down at Paintworks, viewing of the pieces on the 14th and 15th of October 2009, with the auction starting at 7pm on the 15th. Get down there early on the 15th though, as there’s going to be music and live painting from 4pm, with Inkie and Mr Jago just some of the names confirmed so far. If you’ve got a piece you’d like to donate to the auction then there’s still plenty of time. The line up’s pretty special already. There’s loads of other fundraising stuff going on too, and this bit should be a great event for an extremely worthy cause. The only thing to work out now is how to stop Mike bidding on the pieces himself. News has come in that Nick Walker’s got a book coming out towards the end of next month, a retrospective kind of thing covering images of his work for the last 10 years or so. Apparently Mr Walker’s been recreating images from the past to go into it, and the whole thing’s going to be launched at Black Rat Press in London on the 28th of May 2009. There’s going to be a book signing on that night by the man himself, and the images recreated for the book are going to be up for sale on the night too. Many events happen within the world of urban art, but every year a tremor flows through the market when Nick Walker makes work available…Nick’s solo show in May will generate interest on a global scale and the popularity of his artistic talent was reflected at his last solo show which saw enthusiasts queue for over 36 hours and sales of $1.5m. At a recent print release at the London Art Fair organisers had to recruit additional staff to handle the influx of prospective buyers. Nick Walker: More than a commercial asset, honest. A heads up for those who have the money and may be in the area in a couple of weeks, Inkie’s putting together an auction night in London to raise money for Great Ormond Street Cochlear Implant Unit and CICS. 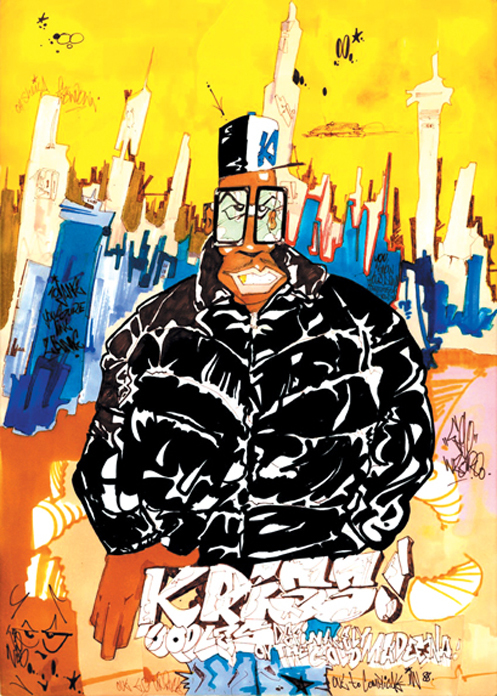 It’s got the kind of line up that only someone like Inkie can put together, with names like 3D, Inkie, Banksy, Nick Walker and Goldie donating pieces, along with a whole load of other well known names from the graf and ‘urban’ worlds. The auction itself is a ticket only affair with a three course dinner and the like, but there’s an after party for it too with people like the Scratch Perverts, Justin Robertson and ‘very very special guests’ playing. All the money from the night and the auction will be going to charity, so if you’re feeling flush, get down there for what should be a pretty special event.